We would like to introduce the Tamales. It is a delicious native delicacy from Taal. 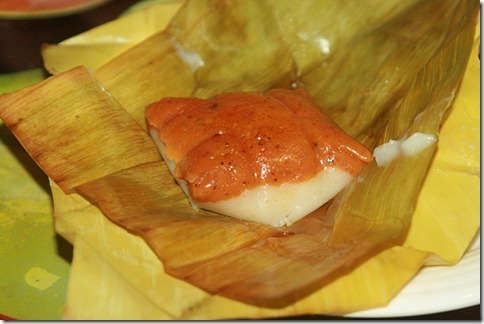 It is wrapped with banana leaves with ingredients as follows : pork, eggs and nuts all together in a sticky atsuete colored rice cake. It is not a sweet delicacy, it tastes a little bit salty. This might not be for everybody and might not be a food which can be called as love at first taste. But I can say that when ever visitors tried this one, they will be in love with it’s taste. This could be a reason to go back to Taal to get another one. 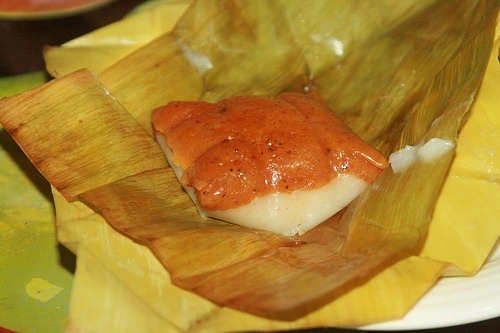 Some Taalenos love to make it customize and include Tapa as it’s ingredients instead of an ordinary pork. 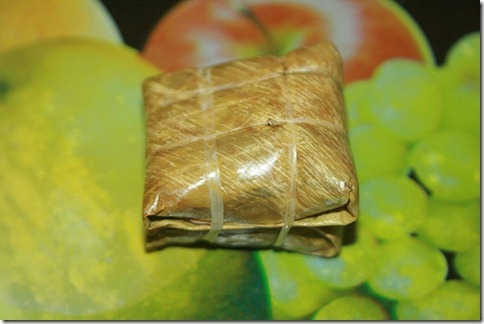 I think it would be better if visitors could give verdict about this tasty Taal delicacy. wew..bago lang yan..ang masarap tamales na original ay sa Ibaan, batangas. 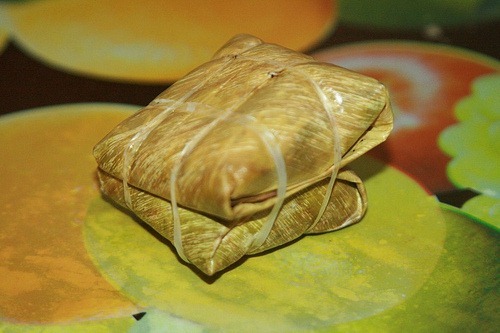 Wala po akong contactd etails, dahil palengke ko na lang po binibili yang tamales.